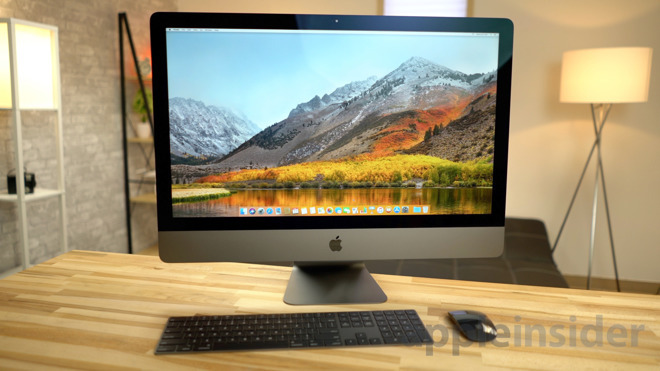 It's here: Apple's ultra-premium $4,999 iMac Pro has begun arriving at the doorsteps of early adopters, and AppleInsider has just unboxed the brand new, professional-grade, all-in-one desktop. Take a closer look at this beast of a machine in our exclusive unboxing video. AppleInsider will have much more to come on the iMac Pro, including benchmark tests of the entry-level model, and a full, in-depth review. For more reviews, news, tips, features and more, subscribe to AppleInsider on YouTube. And for a full list of deals on every iMac Pro configuration, please visit our Price Guide.